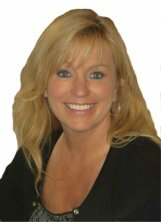 I specailize in representing the best interests of PA & DE buyers throughout the home buying process. My comprehensive, high-quality services can save you time and money, as well as make the experience more enjoyable and less stressful. If you're like most people, buying a home is the biggest investment you will ever make. So whether you're buying a starter home, your dream home, or an investment property, why not take advantage of my local market expertise to make the most informed decisions you can? Every step of the way! Until recently, real estate agents always represented the seller, not the buyer, in real estate transactions. Even that real estate agent who drove you from house to house looking at properties was not working on your behalf. By law, the agent was always required to get the highest price and best terms possible — FOR THE SELLER! Recent market developments have caused all this to change, as more and more real estate agents and companies are offering to represent the buyer in the real estate transaction. You can now have an agent specifically committed to representing you, from the initial selection of properties, to the contract negotiations, to the settlement table. More than one million people in the United States are licensed to sell real estate. Of those licensees, very few are Buyer Representatives. Consumer advocacy groups have endorsed such representation, and licensing laws in virtually every state are now being reformed to enable and encourage representation for the buyer. Whether you’re a first time buyer or an experienced buyer, it is good to know that your real estate agent has your best interests in mind as you select a home.